2017 was a good year at Galapagos Rebreathers. We supported about 8 expeditions. My role was primarily as a guide and I did not dive with the primary objective of getting photo and video. Here are a few clips from my compact point and shoot. Enjoy! I just returned home from attending TEKdiveUSA.2016 over the weekend. 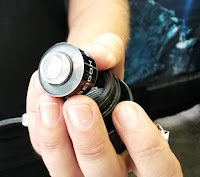 Besides the amazing talks and stories there which I will not try to reproduce in this blog, I wanter to blog about one of the most remarkable advancements in terms of innovation for Tecnical Diving in the last few years. 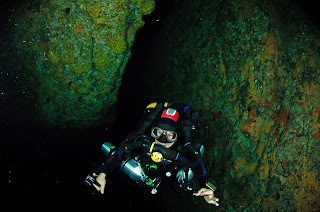 Oxygen measuring is still probably one of the weakest links in the "modern" rebreather. Highly evolved electronics and controllers thrive to keep us alive but the good old galvanic sensor has always been there to make sure things aren't that easy. Anyway, Poseidon Systems introduced a working model of a solid state Oxygen sensor. This is huge. There has been a lot of talk about these for many years and I am glad to see one that will be commercially available in 2016. Poseidon has also understood that this advancement is for the benefit and growth of rebreather “industry”, not just for Poseidon rebreathers. They will be selling the sensor in conjunction with the new M28, an advanced dive computer. The technical details are available here. Starting tonight, TEKDiveUSA is a biennial advanced and technical diving conference. We kick things off tonight with a BBQ. in Gordon Rocks, Galapagos Islands. The next couple days will comprise an exhibition. The 'show and tell' will has over 35 international technical diving companies with opportunities to talk directly with manufacturers. For me, the most interesting part is the conference with several talks from the leading TEK divers and explorers around the globe. All these exciting talks and useful workshops will cover many aspects of advanced and technical diving including wreck, cave and dive physiology, technique, safety, technological advancement and imaging. There will also be a gala awards dinner. The Gala Awards Dinner is the night where we celebrate success, catch up with old friends and make new contacts. I will be posting a report on the things that I find most interesting and exciting in the next few days. 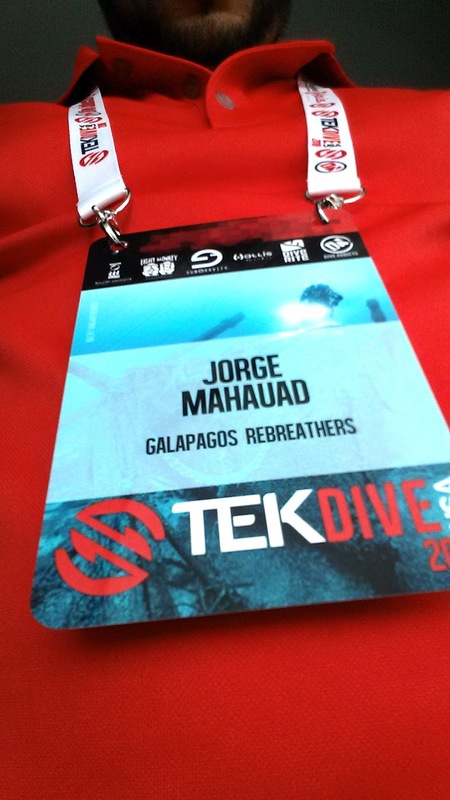 If you are around and want to learn about what we do with Rebreathers in the Galapagos Islands just send me a line! I met Armando Gasse (armandogasse.com) back in 2012 while supporting a private vessel on a 2 week long trip to the Galapagos. We have remained friends since then and he is always sharing his amazing material with me. It is often hard to share the material filmed in super yacht support expeditions because of it's private nature. But here is an extensive edit of our trip back in 2012 with 4 rebreather divers on board that amazing 60 meter Research Super Yacht. He managed to leave out the boat information so I thought of sharing it... enjoy! 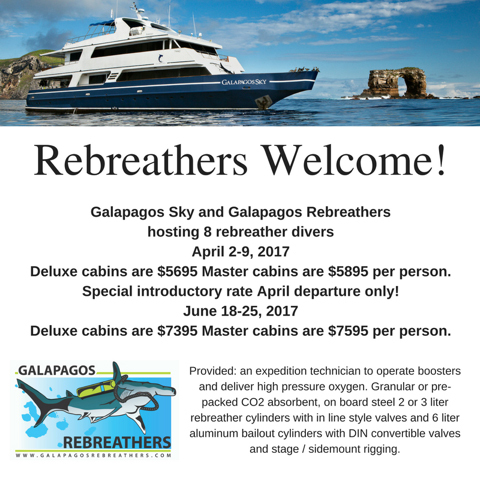 For more information on rebreather travel to the Galapagos Islands check out our rebreather live-aboard specialized trips for 2016 and 2017. For Rebreather Super Yacht Support in the Galapagos Islands follow this link.